Reyes Roofing Contractors, LLC is an award-winning roof repair and replacement contractor in Ashburn VA.
Reyes Roofing Contractors, LLC has provided more than 20 years of exceptional commercial roofing and residential roofing services in and around Ashburn VA. We are a roof contractor that understands the value of quality materials and expert craftsmanship on all of our roofing projects. We are certified by leading roofing manufacturers and have received many accreditations including CertainTeed SELECT Shingle Master, CertainTeed Silver Star Contractor, and Velux Five-Star Skylight Installer. We are a family owned and operated business since 1991 based in Fairfax, Virginia with experience providing excellent roofing repair and installation services to Ashburn VA and the surrounding communities. We offer competitive pricing and a guarantee on all of our work. Commercial and residential property owners in the Ashburn VA area trust that our roofs are constructed with the finest, most durable materials. Feel free to visit our resources page to see many of the companies from whom Reyes Roofing Contractors, LLC purchases materials and highly recommends. 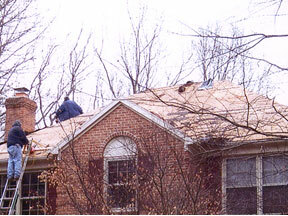 Roofing questions in Ashburn, VA? 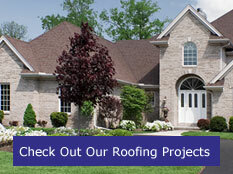 Contact us at Reyes Roofing Contractors, LLC.